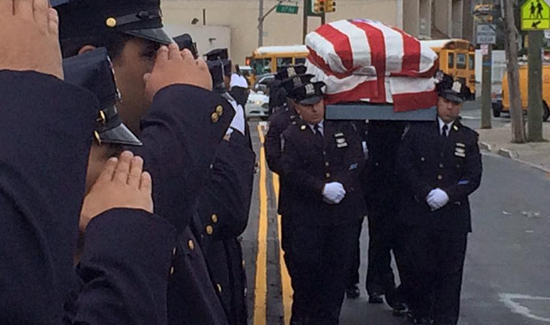 He had long retired from the NYPD, but he was not forgotten. William Brown’s 20-year career with the NYPD ended in 1968 at the rank of detective, but during his final months the department once again become an important part of his life. It started last winter when his neighbor on 119th Ave. in St. Albans, Queens, called 311 to ask cops to visit the 95-year-old man because she hadn’t seen him for a few days. He had recently complained that his house had no heat with the temperatures nearing zero, she said. Officers with the 113th Precinct visited the home and found it empty. They eventually found Brown in the hospital, where he had gone to be treated for hypothermia. 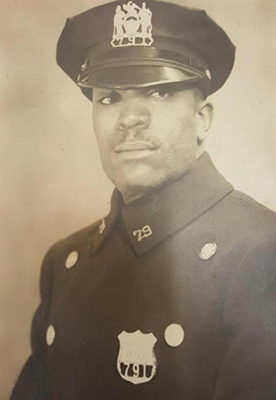 They also learned that Brown was not only a retired detective, but also a World War II veteran, who had fought with the 369th Infantry Regiment, known as the Harlem Hellfighters. The precinct’s officers resolved to do what they could to help him. “They went to the home and found out his oil burner was out,” said Deputy Inspector Frederick Grover, commanding officer of the precinct. “His personal life wasn’t really in order. They helped him with his benefits, and got him properly registered with the VA. They helped him get to doctor’s appointments,” Grover said. They also sought help from a local church, which took care of the faulty oil burner, and restored heat to the home where Brown had lived for 60 years. He still kept memorabilia there from his time as a cop. Detective Tanya Duhaney, a community affairs officer with the precinct, visited him almost every Sunday. Brown died on May 20 of heart ailments. When Duhaney followed up with the city Medical Examiner two weeks later, she learned that no one had claimed his body and there was no surviving next of kin, Grover said. He was slated to be buried on Hart Island, the city’s potters field.